Word Soup - Word Search has evolved! Search for words within the scrambled letters, then watch them explode & the grid collapse in this 'Soup-erb' word game! Which flavour of Soup would you like? 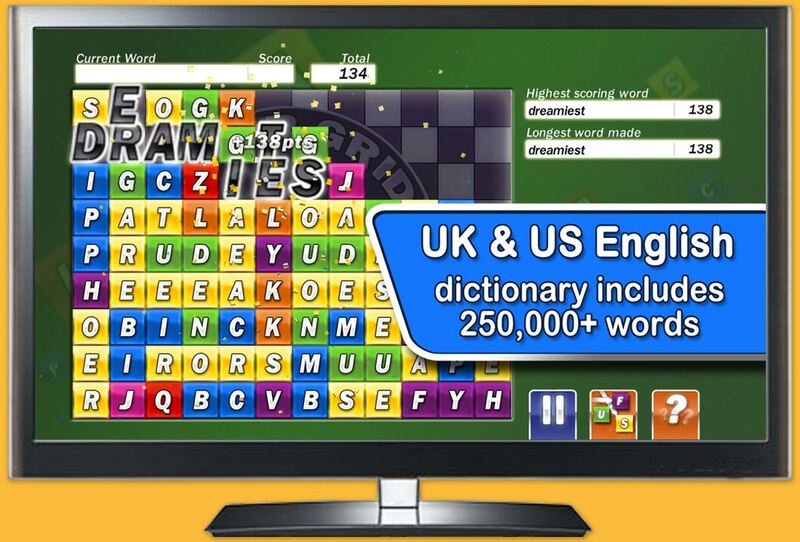 Play Word Soup on your iOS, Android, BlackBerry 10 phones or tablet, as well as Amazon FireTV & Roku player. Coming soon to PC & Mac. We <3 our Souper players to get in touch!